HybridWorker’s in Azure Automation the basics. From one Azure Automation tenant, we push maintenance scripts that run at different customers at the same amount of time. At my work, we changed our managed Services department to a different operations management suite (OMS) in order to better divide our network from that of our customers. I had the task of converting the Hybrid Workers from customers to the new OMS. Remove-HybridRunbookWorker -url "URL" -key "KEY"
You’d think that this would remove the old Hybrid Worker. unfortunately, I received an error message after I tried to add the hybrid worker again. Add-HybridRunbookWorker –Url "URL" -Key "KEY" -GroupName "GROUPNAME"
Because I couldn’t remove the Hybrid Worker I started Googling and I came across the registerkeys. I then decided to completely remove these. Lets fix “HybridWorker Machine is already registered to different account”. Click start and search for Run, or press CTRL + R.
Delete the complete registry key. it successfully configured the Hybrid Worker. Re-configure the Operations Management Suite. 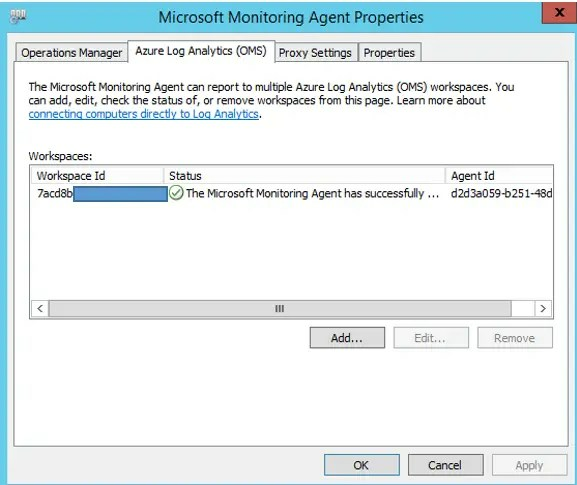 If you stumbled on this post and you have also changed the operations management suite (OMS), do not forget to also change the OMS monitoring agent Workspace. Otherwise your HybridWorker will still heartbeat to the old OMS workspace. Go to start and look for Control Panel or right mouse click on start and click on Control Panel. Go to tab Azure Log Analyctics (OMS). Enter the correct OMS data and click OK. If you want to know what a HybridWorker is, or what you can do with it. There is a blog post on technet with a great explanation and how to use it: Microsoft. We mainly use it for a self service portal and our maintenance tasks. Do you have any feedback or comments? Please leave a comment. Previous Previous post: FIX: Word could not create the work file. Check the temp environment variable.